Habitat on Trail Creek Condominiums has twelve two and three bedroom timeshare units. We are located three blocks from downtown Ketchum. The River Run side of Bald Mountain is just 1/2 mile away. Each unit has two bathrooms, fully appointed kitchen, heated garage, washer and dryer, and fireplace. The condo vacation rental also features two outdoor hot tubs onsite. In 2011, all twelve units saw a major renovation, with new carpet, paint, and furniture, appliances and decor. Our two bedroom units have a queen bed in the master bedroom, two twin beds in the second bedroom and a queen sofa sleeper in the living room. A two bedroom unit will sleep a maximum of 6 people. All of our units have two bathrooms. 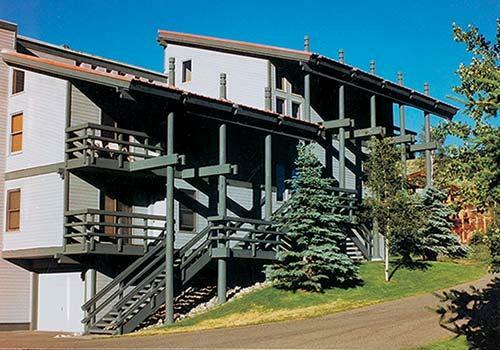 Please click here to see current availability, prices, payment options, photos and other information regarding Habitat 2000 at Trail Creek Ketchum Sun Valley Resort condo vacation rentals.